By Christopher Curtis. Reprinted from the Montreal Gazette. The thought looped its way around Clifton Ariwakehte Nicholas’s mind as he sorted through a pile of narcotics. It was, he thought, surreal to see the freezer bags sprawled out in his shop, each stuffed with fragrant, yellowish-green buds. Nicholas opened the first-ever medical marijuana dispensary in the Kanesatake Mohawk territory on Friday. The dispensary is, strictly speaking, illegal. 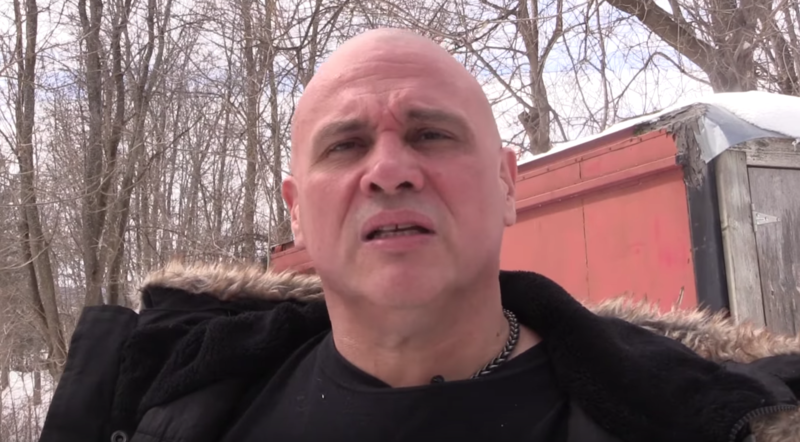 It puts Nicholas at odds with the provincial police who patrol Kanesatake and Grand Chief Serge Simon, who said last year that he won’t allow a dispensary on the Mohawk settlement without community consultations. Chief Simon was unaware of Nicholas’s dispensary until it opened Friday. He says he wants to call a community meeting to discuss quality control measures and other concerns about dispensaries in Kahnawake. “I’m not against medical cannabis — in fact we’re open to it — but the community has to have its say,” Simon said on Friday. Legislation by the government of Prime Minister Justin Trudeau to legalize a recreational cannabis market is expected to come into effect this summer. Together with the provinces, Ottawa will issue licences and subject the industry to quality control inspections. Nicholas’s business is decidedly not a part of that system. 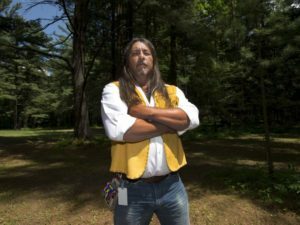 Like most Mohawk traditionalists, Nicholas doesn’t recognize the federal government’s authority over Kanesatake — a 12-square-kilometre parcel of land on the mouth of the Ottawa River. The Kanesatake Mohawks never ceded their territory to the Canadian state and are involved in a drawn-out legal battle to reclaim much of that land. This may seem merely like an academic point, but Nicholas says he was prepared to die for sovereignty during the 1990 Oka Crisis. That summer — when Mohawk Warriors and Sûreté du Québec officers exchanged gunfire in the pine cemetery outside Oka — Nicholas had just turned 18. He joined the fight and says he can remember those long, sweltering days spent patrolling the forest with an AK-47 strapped to his shoulder. Back then, Nicholas fought in the name of sovereignty to keep the Mohawk burial grounds from being converted into a golf course. Now, 28 years later he’s betting his life savings, his standing in the community and his freedom on that same principle. Nicholas’s shop — called Smoke Signals — sells dried cannabis, cannabis oils and edibles to adults 19 or older who tell him they need to use it as medicine. They don’t need a prescription from a doctor. As long as they present proof of age, Nicholas will sell them weed. 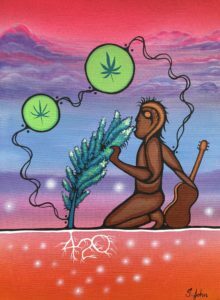 Smoke Signals is the newest addition in a network of dispensaries sprouting up on First Nations territory across Canada. As the federal government works with licensed producers to create a legal market for recreational weed, Indigenous communities are carving their own space outside the legal system. Most brand themselves as purveyors of medicinal cannabis, but many have an eye toward the recreational market as well. “We’re making our own economy,” says Rob Stevenson, who opened a dispensary in Ojibwe territory last year. “We don’t need outside investors. We’re doing this on our own, growing this on our own and regulating this on our own. Stevenson says his shop sells between 50 and 80 pounds of cannabis each week. About 75 per cent of that product comes from Indigenous growers in British Columbia. His store, Medicine Wheel Natural Healing, employs 17 people on the Alderville First Nation — an Ontario reserve just south of Peterborough. For each truckload of B.C. bud that passes through his doors, every nugget of every bag is put through a battery of tests. The product is inspected for contaminants like mould or animal hair. It’s put through a machine that uses light to determine potency and the genetic composition of each plant. He calls this process the Red Feather Certification program. Stevenson even tests products destined for other dispensaries. 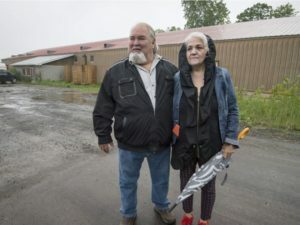 In the past few years, places with names like Smoke on the Water, Legacy 420 and Cannabis Farmer’s Market have sprung up in Ontario’s Tyendinaga reserve, near Belleville. 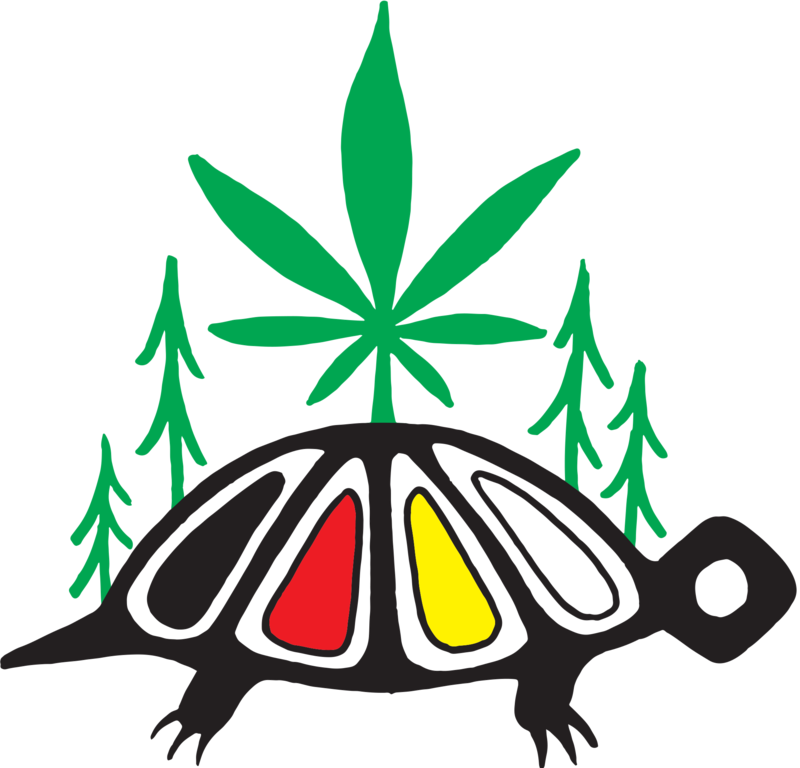 Vendors in the Mohawk territory formed the Kenhteke Cannabis Association last summer after local police threatened to shut their shops. In the association’s first statement, the group of 10 vendors said it did not recognize the authority of Tyendinaga’s police or band council. The dispensaries stood their ground, and there are now 40 on the territory. 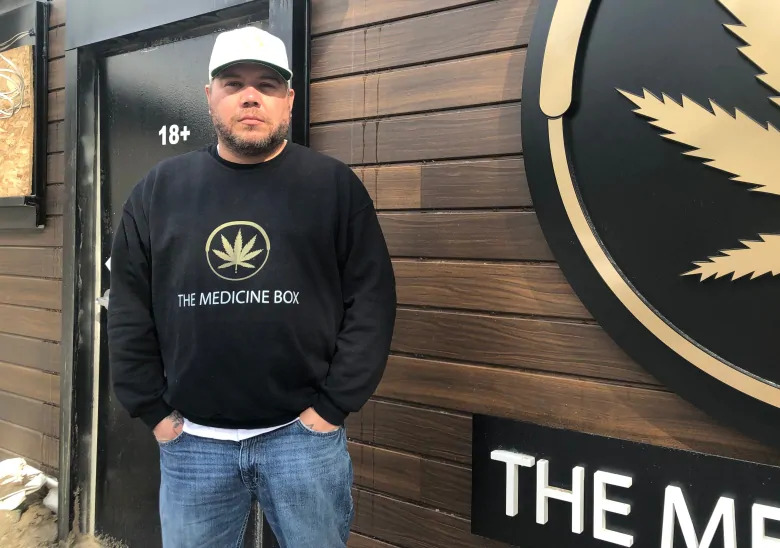 Three sources in the Indigenous cannabis industry say many of these shops are pulling in at least $1 million in sales annually. Stevenson says he donates a portion of his profits to the community’s women’s shelter, youth sports teams and other charitable causes. Now it appears Nicholas — who spent much of last year working with dispensaries in the Tyendinaga and Six Nations territories — has brought that model to Quebec. In places like Tyendinaga and Alderville — where Stevenson runs his shop — the dispensaries are tolerated by local law enforcement. Stevenson says he has a good relationship with the Ontario Provincial Police, who often drive by the shop. Of course, that may not be the case in Kanesatake, where the SQ have taken down grow operations in the past. About 400 provincial police descended on the territory in 2009, when they seized $1 million worth of cannabis and arrested 13 people. The SQ’s narcotics task force raided Kanesatake again in 2011. Nicholas knows there’s a real risk his dispensary will be raided and he’ll see his life savings go up in smoke. But the upside, he says, is worth it. “I’ve been poor my whole life. In my early childhood, there were 12 of us in a three-bedroom house growing up. My mother scrubbed toilets in Westmount to keep food on our table. The sovereignty Nicholas speaks of is a near universal concept in Mohawk communities, whose independence is codified by documents like the Two Row Wampum and the Jay Treaty. Communities like Kahnawake and Akwesasne have waged court battles with Ottawa to secure their right to grow, manufacture and sell tobacco outside federal regulation. Perhaps the biggest reason behind Nicholas’s evangelical stance on cannabis is the effect he says it’s had on his life. Last summer, after a decades-long battle with depression, Nicholas attempted suicide. When the attempt failed, he checked himself into a psychiatric hospital. He says therapy helped him work through some traumatic childhood experiences but that the antidepressants he was prescribed only made his suicidal thoughts worse. Midway through the summer, when Nicholas started dosing his tea with cannabis oil, he says he started feeling human again. After he checked out of the hospital, Nicholas started running every day. He’s lost 80 pounds and says he owes much of that to the healing properties of CBD (cannabidiol) — a component within the marijuana flower that lacks the psychoactive effects of THC (tetrahydrocannabinol). Cannabis is increasingly being used to treat depression, according to Health Canada. “Like I said, I’m not a doctor, I’m not a healer or a medicine man, but I know that cannabis has worked for me,” Nicholas says.